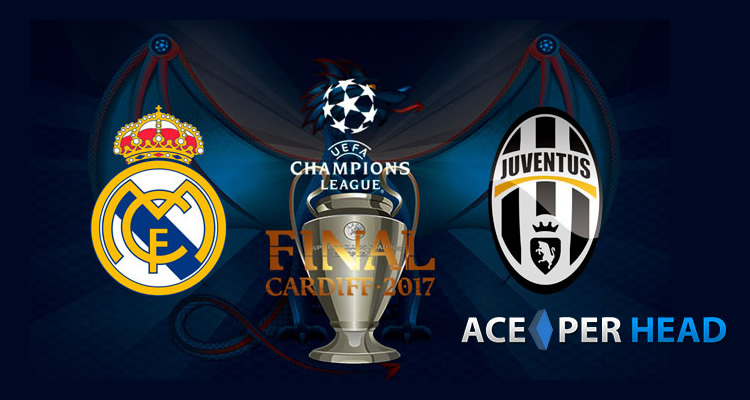 This upcoming Saturday June 3rd, 2017 in Cardiff, Wales, will mark the 62nd season of Europe’s premier club football tournament, which 25 years ago was renamed from the European Champion Clubs’ Cup to the UEFA Champions League. This years’ final will feature Juventus from Italy’s Serie A, and the defending Champion Real Madrid from Spain’s La Liga Santander, which will be a repeat of the 1998 final. Juventus has won the Champions League Title 2 times, and Real Madrid holds the record with 11 Champions League Titles. The UEFA Champions League is an annual club football tournament consisting of the top division clubs from Europe, which pay per head sites consider one of the most prestigious tournaments in the world. The Final is the most watched annual sporting event in the world, with over 350 million television viewers, which is more than three times the viewership ratings of the annual NFL Super Bowl, which means there is tremendous betting volumes for the UEFA Champions League Final. UEFA Champions League begins in mid-July with three knockout qualifying rounds and a playoff round. There are 10 teams that earn a qualification from this round, and then enter the group stage, where they join 22 other teams that have previously qualified because of placing in the top 2 or 3 of their respective country’s league’s top division from the year before. (For example La Liga Santander, Bundesliga, and English Premier League have the top 3 place finishers earn automatic qualification, whereas Serie A, French Ligue 1 have the top 2 place finishers earn an automatic qualification for the group stage, along with other country’s top division placers.) Then the 32 teams are drawn into 8 groups consisting of 4 teams, and then play each other in a double round robin system, with the top two placers in each group moving on to the round of 16 knockout phase. The knock phase is redrawn during each stage with a home and away game being played and an aggregate score that determines which team continues to the next stage. As one can see this is an extremely intricately organized and long tournament that spans nearly 11 months each year in order to crown a winner. Understanding the format of this tournament is the first step to ensure enjoying the beauty and complexity of this amazing tournament that features the best soccer players in the world. Once one has an understanding of it, then it makes it that much more fun and exciting to wager on. The best pay per head services will have each and every game of the UEFA Tournament available to wager on, including the initial knockout qualifying rounds with the lesser known teams. This is a great tournament to take action on because unlike NFL that only plays for a little over 5 months out of the year, this Soccer tournament runs each year practically all year round, which means more opportunities to make more money as an agent booking action.